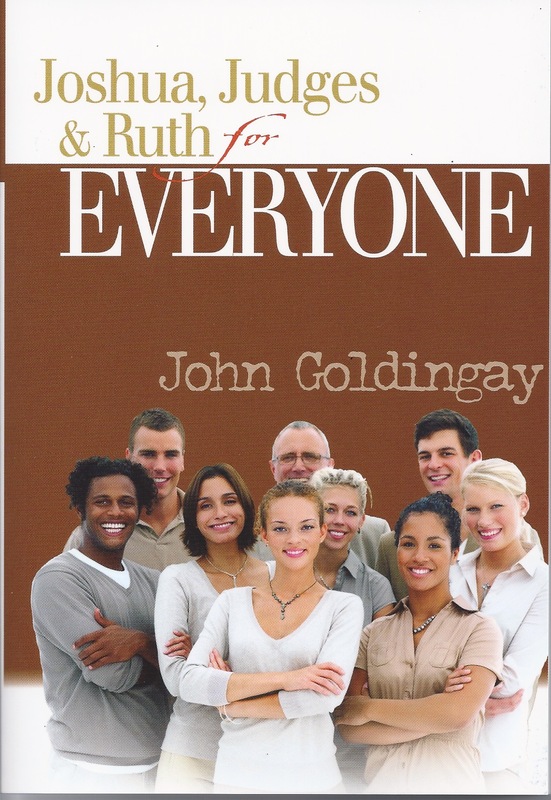 Based on the cover, not so much “for everyone” as for the really beautiful people. Along with most of the universal church throughout history, not to mention my systematic theology professor at Emory, I believe in God’s foreknowledge: since God is outside of time, in eternity, God knows what happens in the future because God is already there, present in every moment at all times, past, present, and future. The doctrine of God’s foreknowledge solves some problems. I’m happy to know that no matter how bad things seem in our world at present, God has already worked things through to a certain future—and that future is good beyond our imagining. This doctrine is by far the predominant view of scripture—too many texts to cite, but someone put together this page, so you may well start here. My favorite is Revelation 13:8 (which isn’t even on that list), which refers to Christ being the “Lamb slain before the foundation of the world.” From God’s eternal vantage point, before he even created the world, he knows one consequence will be the world’s redemption through Christ. But God’s foreknowledge also creates some problems. Just today, on a theological blog, I read a commenter who complained that if God has foreknowledge, then human free will can’t exist. I suspect he meant that if God knows the future, then we humans are unable to do anything that isn’t already “written in stone”—at least from the perspective of a God who sees all of human history eternally laid out in front of him, so to speak. I would emphasize that God doesn’t have to operate in this way: he doesn’t have to cooperate or collaborate with us at all. He could run roughshod over our freedom and will. (And if I read my Calvinist brethren correctly, they think God does just that!) But most of us Christians believe that God graciously condescends to work with us on this project of running the world—which means that God becomes at least as interested in this present moment as we are, even as he knows precisely where this present moment will lead. And here’s where things get tricky: When the Bible depicts God’s working in time alongside us (rather than in eternity), startling things happen. For example, the Bible depicts God in Genesis 6 (part of our scripture in my sermon this Sunday) experiencing regret for having created us disobedient human creatures. Since it’s impossible for us humans to experience an emotion like regret without also being surprised by an outcome that we didn’t foresee, we wonder how God can experience regret—since God foresees everything. This isn’t anti-intellectualism; it’s just humility about what I can understand about the things of God. One thing I’m less willing to do than previously—not unwilling, just less willing—is to cry, “Anthropomorphism!” whenever God comes across in scripture as too human, from my perspective. We are made in God’s image, after all. Whatever that means, it means we’re a little bit like God. Besides, if you take the concept of anthropomorphism too far, as my clergy colleague Jason Micheli often does, you begin protecting your rationalistic theology at the expense of biblical authority. Like Goldingay, when I have to choose between the Bible and my theology, well… I assume my theology needs some work. So here’s Goldingay talking about God experiencing regret in Genesis 6. I strongly affirm the second paragraph. I’ve highlighted the most interesting parts (to me) in bold. What do you think? This is extraordinary because you cannot regret something unless you had not foreseen it, which implies that the developments we have been reading about in Genesis have taken God by surprise. Once again, Genesis raises a question about our assumption that God knows everything, so that there is nothing God has not foreseen. The Old Testament implies that God quite often has surprises, usually unpleasant ones. It also makes clear that God is able to know what will happen in the future (and is thus able to reveal it to people), but God seems not always to exercise that capacity and instead lives in linear time with us. God is eternal in the sense of living through all time, but God is not timeless. God mostly lives in the present and thus can be taken aback by things, but God is not caught by events in touch a way as not to be able to cope with things. God has infinite capacity to handle whatever happens, and God is involved in a responsive relationship with the world. † John Goldingay, Genesis for Everyone, Part One (Louisville, KY: WJK, 2010), 96. This entry was posted on	August 9, 2014 at 12:30 am	and is filed under Uncategorized. I agree we have to accept the Bible first and theology and philosophy second. (Or third?–such as after “common sense”?) I also don’t have a big problem with anthropomorphism (as C.S. Lewis seemed to at times)–why shouldn’t God actually “sit on a throne”? I am sure he does a lot more than that, but I don’t know that he can’t do that if he says he will. Stephen said he saw Jesus standing when heaven opened to receive him.